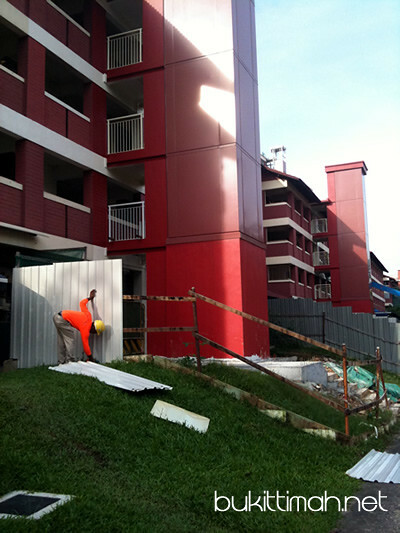 I saw workers taking off the metal sheets / hoardings around the new lift shaft. It looks like the lifts will soon be commissioned for use. Just a quick photo for update.